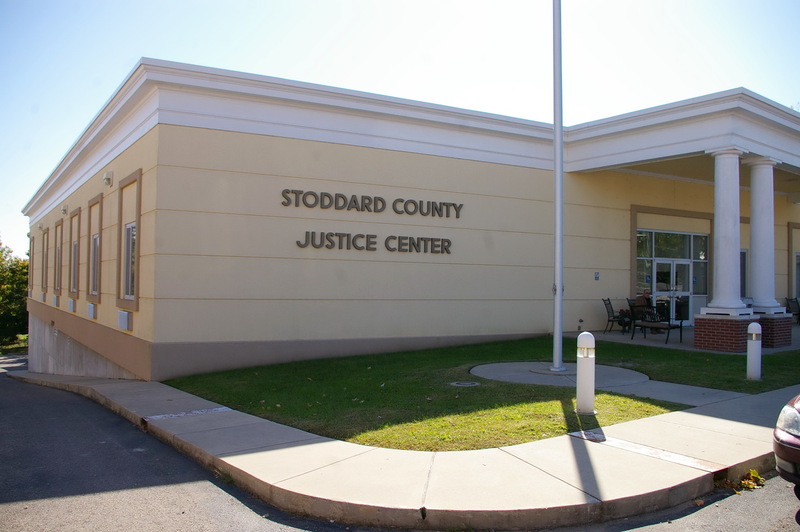 Stoddard County is named for Amos Stoddard, who was the only commandant of Upper Louisiana for the French Republic and for the District of Louisiana for the United States in 1802 during the handover of the Louisiana Purchase. 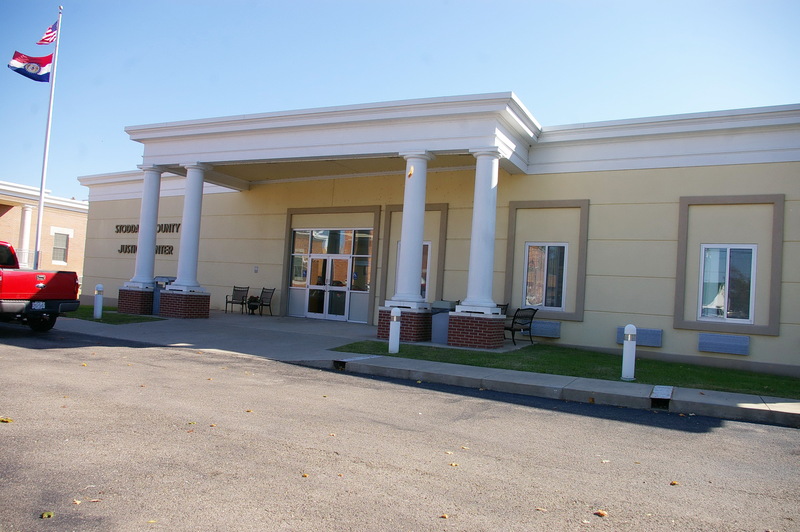 Description: The building faces north and is a two story buff colored brick and stone structure. The building forms a Greek cross. The north front has two tall white colored columns rising in a recessed portico with pediment at the top. The windows are arched. On the center of the roof is a square dome with clock. During construction W B Phelan was the supervisor. 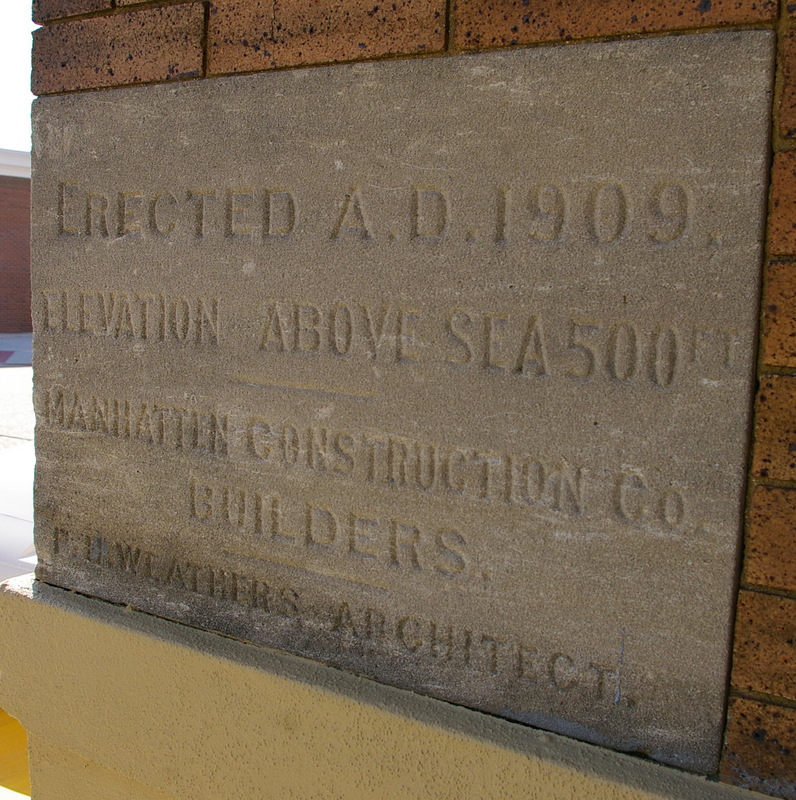 The building was extensively remodeled in 1909. The foundations were reinforced, new brick wings were added, and old walls were covered with brick veneer. 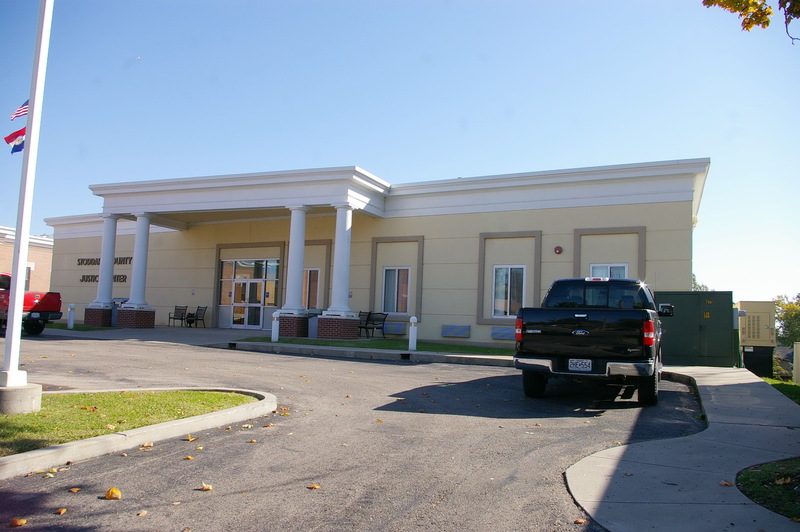 The architect was Patrick Henry Weathers of Jackson, Mississippi and the contractor was Manhattan Construction Company of Guthrie, Oklahoma. T P Milner of Atlanta, Georgia was the supervisor. 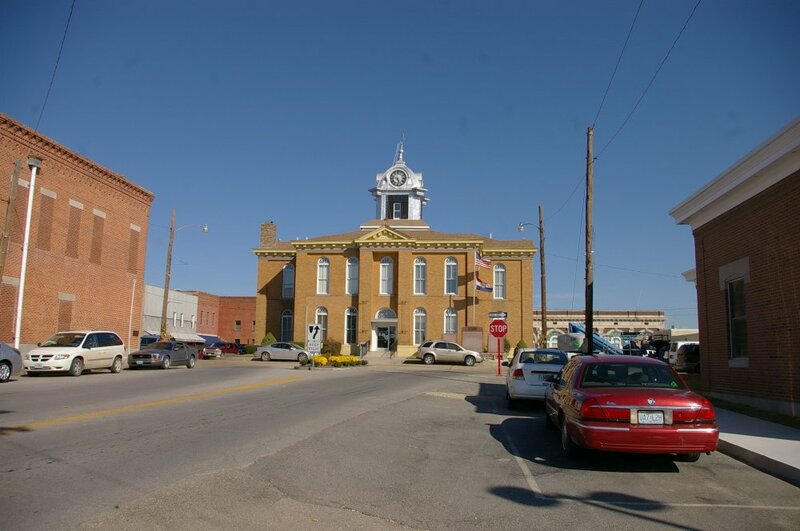 Note: The first court was held at the home of H B Bailey in February 1835. 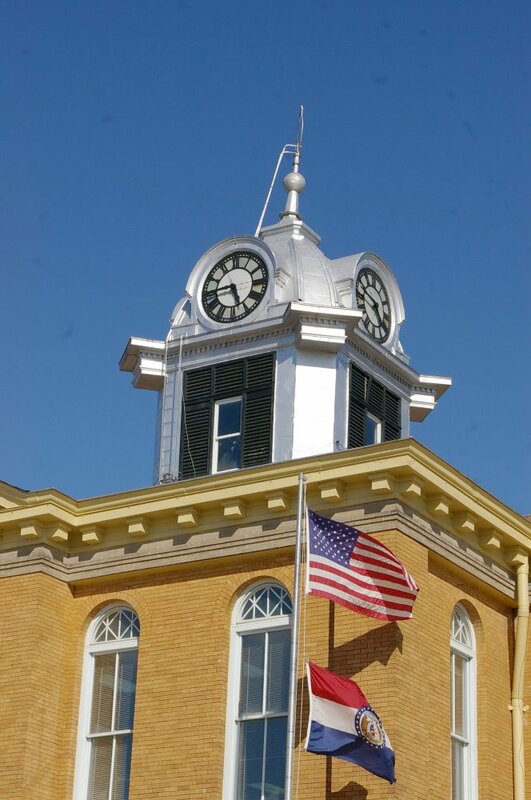 The first courthouse was built at a cost of $2,500 within a short time and continued in use until 1856. 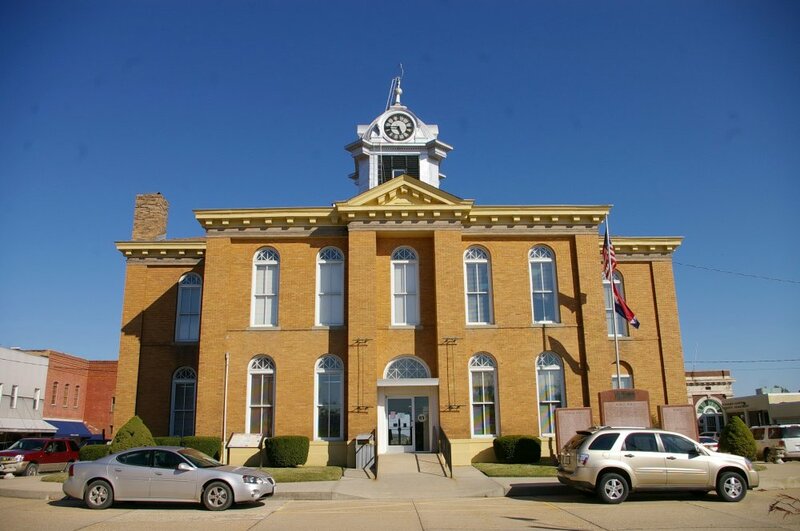 The second courthouse was built in 1856 supervised by Solomon G Kitchen and constructed by William Ringer at a cost of $12,000. The building was burned in Price’s raid during the Civil War. The third courthouse was built in 1867 to in 1870. 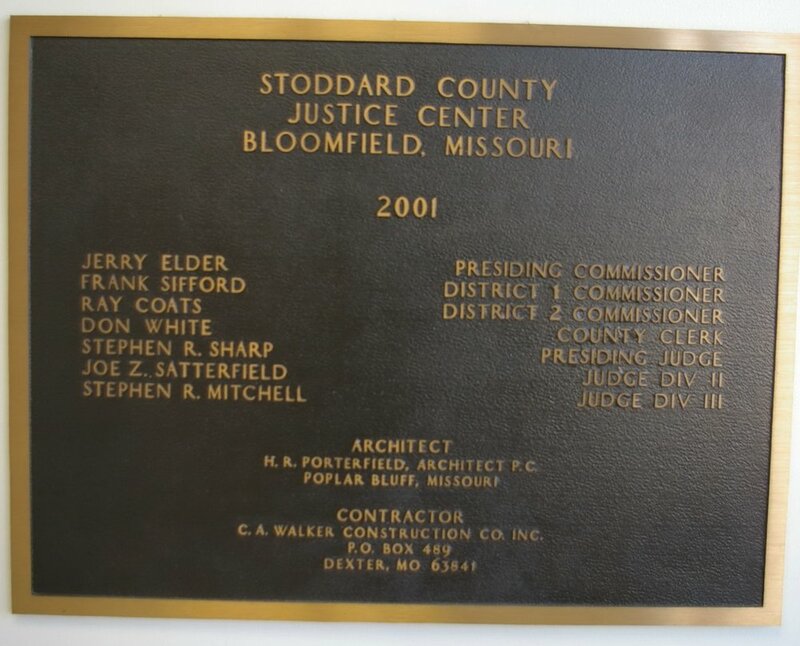 Long rivalry between Bloomfield and Dexter for the county seat culminated in Dexter building a two-story, brick courthouse. 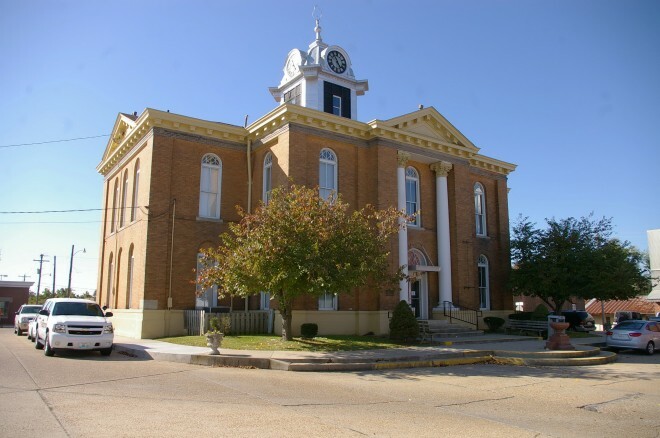 See: The architect, Patrick Henry Weathers of Jackson, Mississippi, designed courthouses in Louisiana in Tensas Parish; in Mississippi in Lamar County, Lee County and Marion County; in Missouri in Cape Giradeau County and Daviess County; and in Oklahoma in Ellis County, Logan County and Washington County. Description: The building faces west and is a one story concrete structure. The west front has a wide portico supported by four columns rising to a flat roof. The roof line is flat.